Instructions for removing your info from your community website. 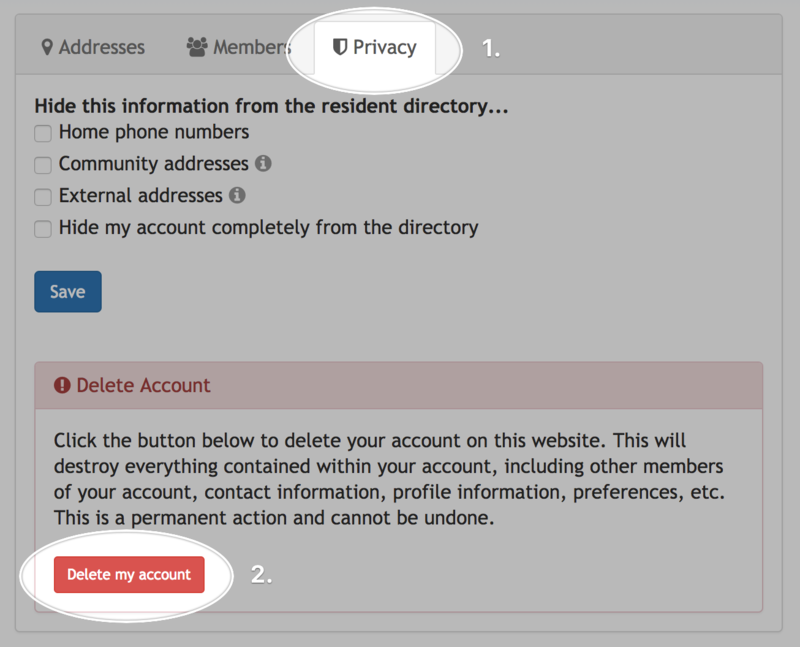 Note: if you want to just delete just your member profile and not your whole account (with all its members), you'll need another member of your account to delete your member profile. To begin, first make sure you're logged into your community website. You can do so by clicking the log in link at the top right of the website. You'll be asked to confirm your decision before the action is taken. Once confirmed, your account will be immediately and permanently deleted.